A clean and crisp Chardonnay, this wine exhibits white peach, citrus and bright ripe apple aromas followed by bursts of exotic fruit, melon, apple, lemon and pear on the palate. 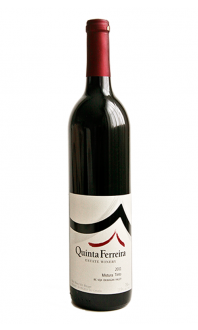 Smooth acidity frames the flavours together in this lively and refreshing wine, providing a sumptuous mouth feel. Pair with soft cheeses, salads, and seafood or on its own. Enjoy now and over the next 2-3 years. This wine was featured in July's wine club package. Appearance: Clear, bright, golden straw in colour. Nose: Medium+ intensity, candied orange, Granny Smith apple, butterscotch, almonds, vanilla, and baking spice. Palate: Medium+ body, orange and lemon citrus, caramel, clove and baking spice, with hazelnut and almond. Quality: Good quality.The aging of this Chardonnay in French and American oak allows for rich notes of candied fruit and nuts to emerge. Food Pairing: Lobster Thermidor, roasted chicken and turkey with herbed stuffing, mushroom risotto, veal chops with mushrooms, squash or pumpkin ravioli, and any kind of apple dessert (apple pie, apple crumble). 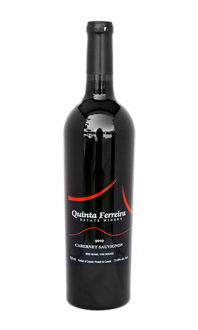 Quinta Ferreira’s vineyards are located in the Okanagan Valley’s renown Black Sage Bench, famous for producing outstanding grapes due to its desert climate, soils and growing conditions. 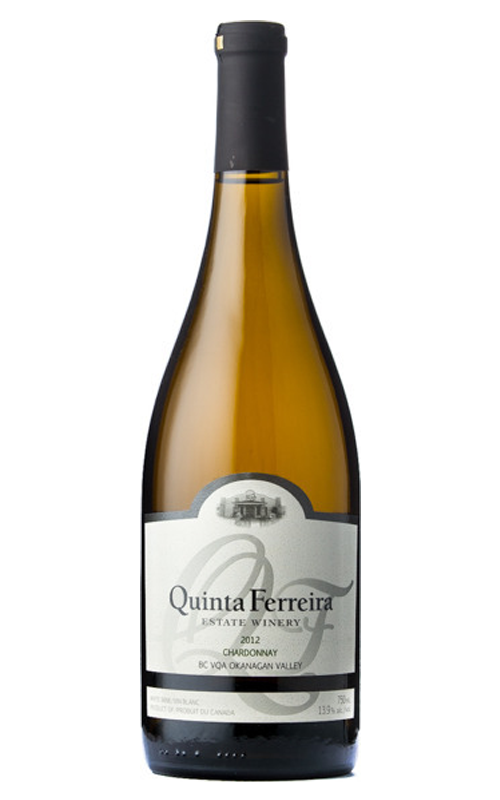 For this Chardonnay, winemaker Michael Ferreira allowed the wine to go through 68% malolactic fermentation so as to retain its acidity, yet bring out the richness and creaminess inherent in the wine. 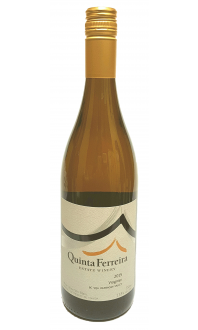 This wine is not your average Chardonnay, rather it’s reminiscent of some Italian white wine styles from the Piedmont region where the richness of texture, the butterscotch and baking spice, and distinctly nutty flavours are strong characteristics. Save this wine for Thanksgiving or Christmas and pair it with everything from roasted turkey and stuffing to desserts of the season.